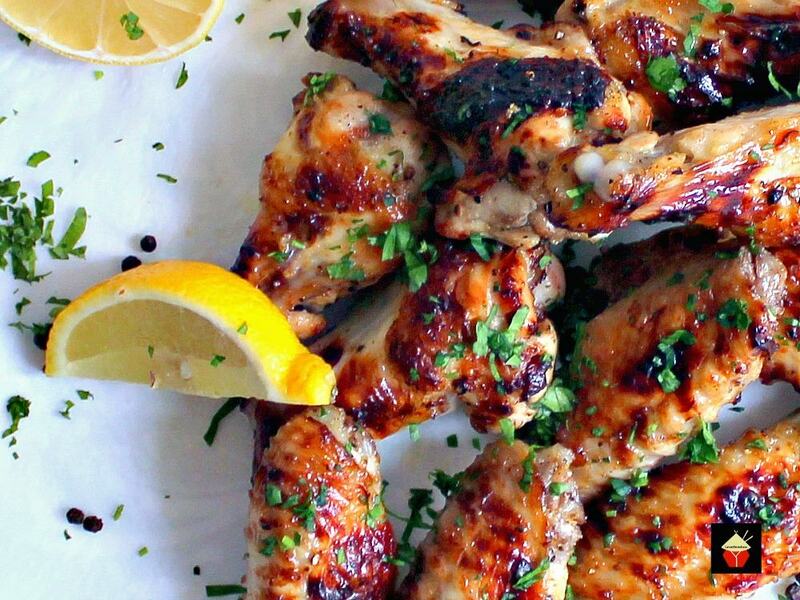 Zingy Lemon Butter Chicken Wings. 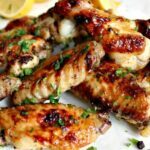 These are lovely baked chicken wings with a zingy lemon flavor. Easy recipe, and oh so good! 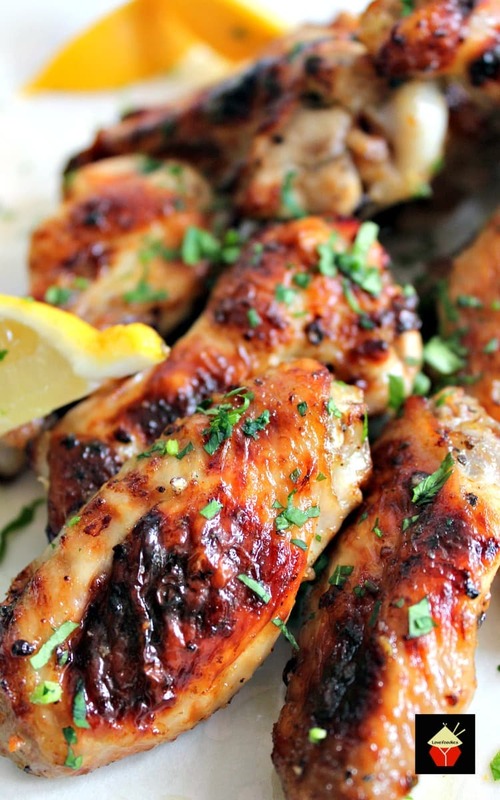 Zingy Lemon Butter Chicken Wings! Gosh, these are delicious. There’s a little story behind how this recipe came about. Lovefoodies and 10 other bloggers decided we would give each other a recipe challenge. We decided each blogger would have 30 days to come up with a tested and of course most delicious drooling recipe suitable for all skill levels and one which would become a keeper recipe in our homes. So, without further ado, we all scratched our heads and came up with our first 30 Day Challenge which should feature LEMONS in the recipe! Well, when I saw the theme would be lemons, I was so excited. I absolutely love using lemons in food, and immediately I was thinking of all the different cakes I could bake, perhaps some lemon cookies, maybe even a lemon cream cheese sticky bun recipe. Then I thought I could make a lovely Chinese lemon chicken recipe (that is always so delicious too! ), or a nice fish in a lemon butter sauce… but after all my imagining and dreaming, I decided on these lovely Zingy Lemon Butter Chicken Wings. The recipe is completely fuss free and fancy free, and absolutely delicious! I think the addition of the butter after baking simply brings the whole recipe together, and each bite will give you a lovely taste of zingy lemon, salt, pepper, butter and a little sweetness from the honey. 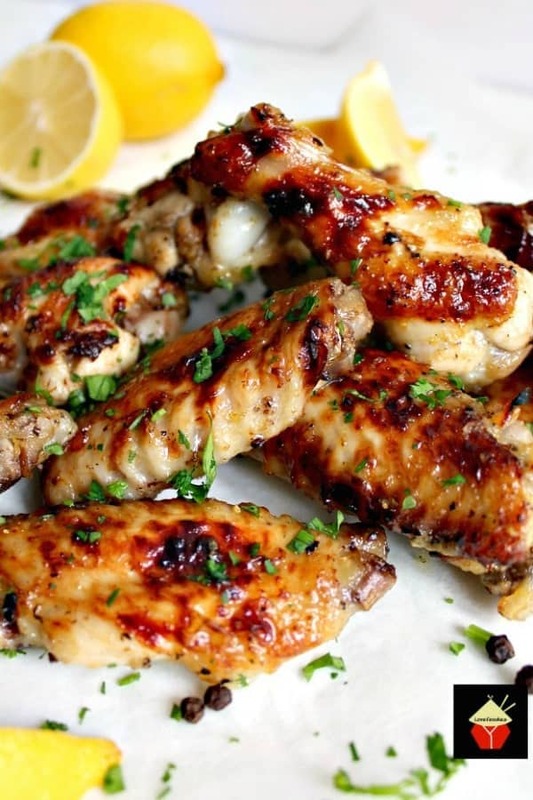 These zingy lemon butter chicken wings would be perfect for a party or gathering. You can eat them warm or cold, so taking them along to a picnic or for example, a July 4th party, New Year’s Eve party and so on. They do go quick so be sure to make plenty if you’re feeding a crowd! When I tasted one of these zingy lemon butter chicken wings straight from the oven, I knew I had struck gold with the flavors. They were simply magical! So this is the recipe I settled for and I’m very proud to put forward for our 30 Day Lemon Challenge. We hope you enjoy it as much as we do and most of all, have lots of fun cooking them too! 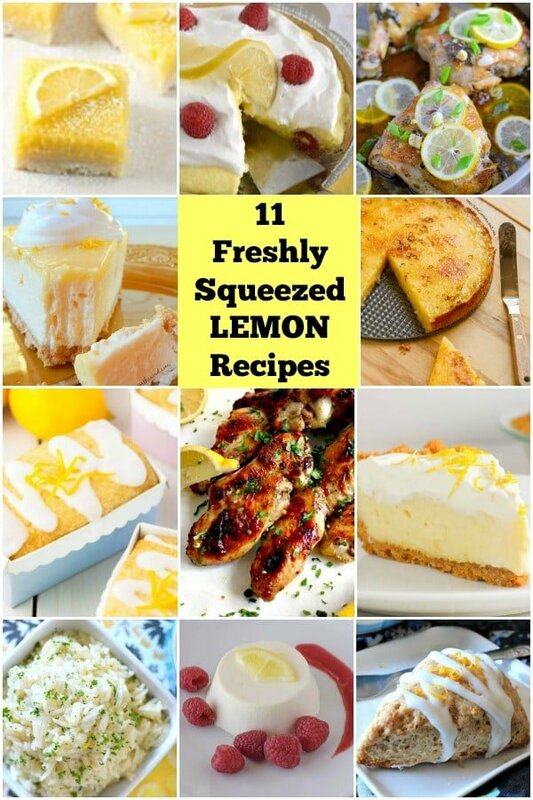 At the end of this recipe, we have all the lovely lemon recipes from the other bloggers who took part in our 30 Day Lemon challenge so be sure to take a look and click on any of them to see the recipe. 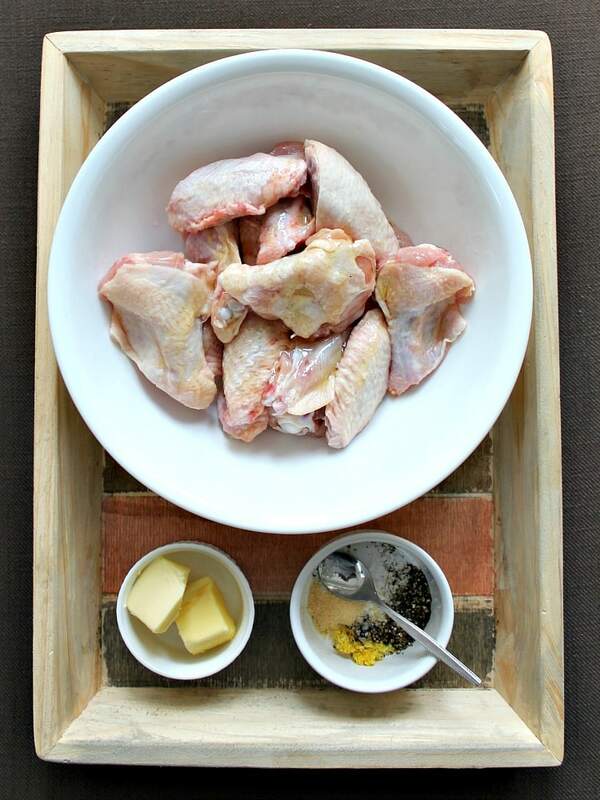 So let’s get straight to the recipe and see how we make our zingy lemon butter chicken wings. Please enjoy! 1. Preheat oven to 450 F or 230 C and line a tray with foil and lightly grease. 2. Cut the chicken wings in half so you have 2 pieces from each wing and place in a bowl. Add the juice of a lemon and the honey. 3. 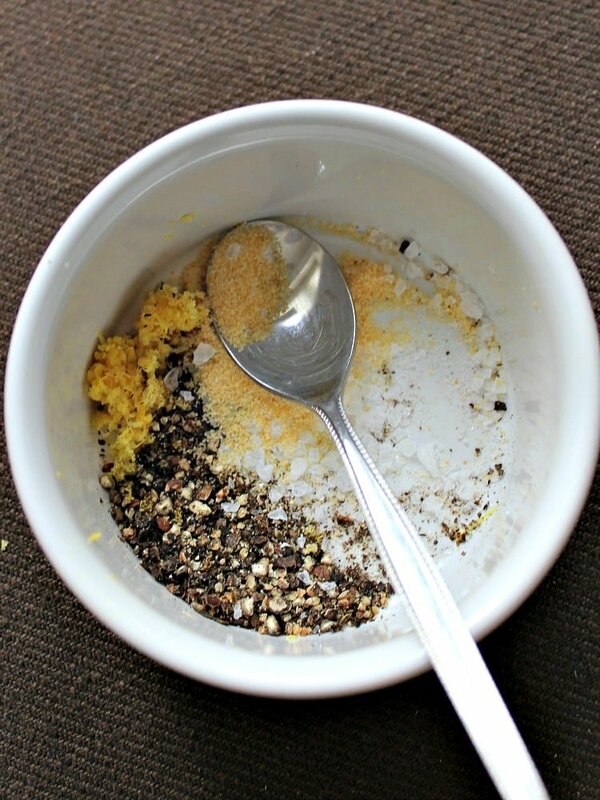 In a separate bowl, add all the ingredients for the seasoning above. 4. Transfer HALF of the seasoning ingredients to the chicken wings and rub everything together so the flavors go into the wings. 5. 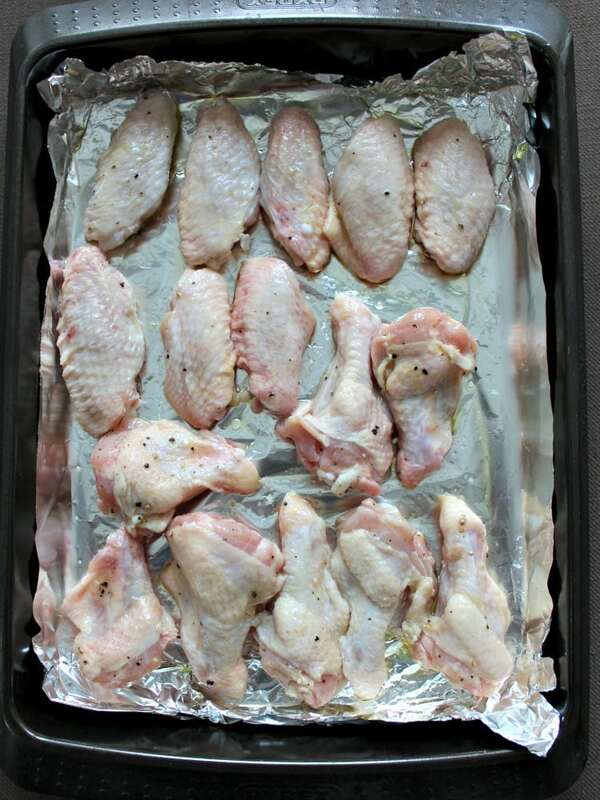 Arrange the wings on your prepared baking tray and cook for about 30 – 40 minutes or until the chicken is nice and golden and crispy. 6. 5 Minutes before the end of cooking, melt the butter in a small bowl and add the remaining seasoning. Stir well. 7. Remove the wings from the oven and transfer to a bowl and pour the butter over the hot wings and give it a toss. Serve whilst still hot and enjoy! 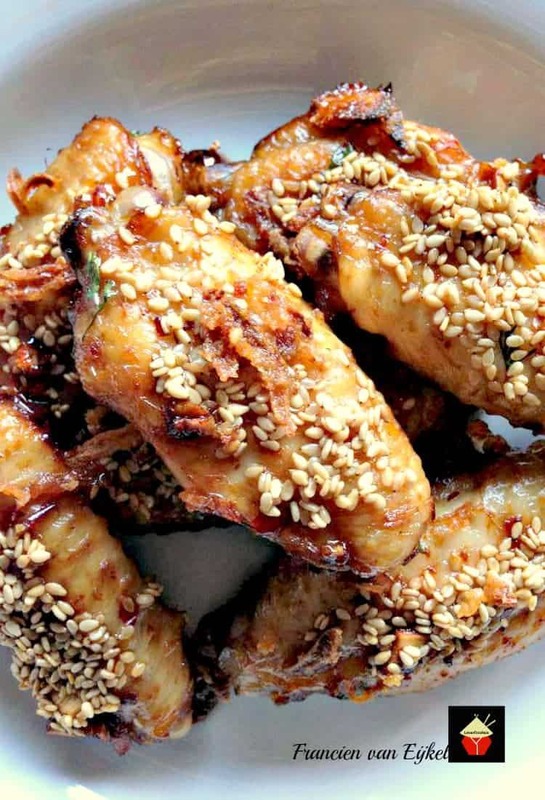 We’d love to hear from you and what you thought of our zingy lemon chicken wings recipe. Did you make any changes or add some other goodies? Let us know in the comments below. Thanks for reading and happy cooking! Preheat oven to 450 F or 230 C and line a tray with foil and lightly grease. Cut the chicken wings in half so you have 2 pieces from each wing and place in a bowl. Add the juice of a lemon and the honey. In a separate bowl, add all the ingredients for the seasoning above. Transfer HALF of the seasoning ingredients to the chicken wings and rub everything together so the flavors go in to the wings. Arrange the wings on your prepared baking tray and cook for about 30 - 40 minutes or until the chicken is nice and golden and crispy. 5 Minutes before the end of cooking, melt the butter in a small bowl and add the remaining seasoning. Stir well. Remove the wings from the oven and transfer to a bowl and pour the butter over the hot wings and give it a toss. Serve whilst still hot and enjoy! Thank You For Sharing Recipe Tips..
Great Wings. Absolutely mouth watering. These wings look great! I think they would be awesome at a family summer picnic! So flavorful looking! We are big fans of chicken wings in our house! These look fabulous, we will be trying them soon! 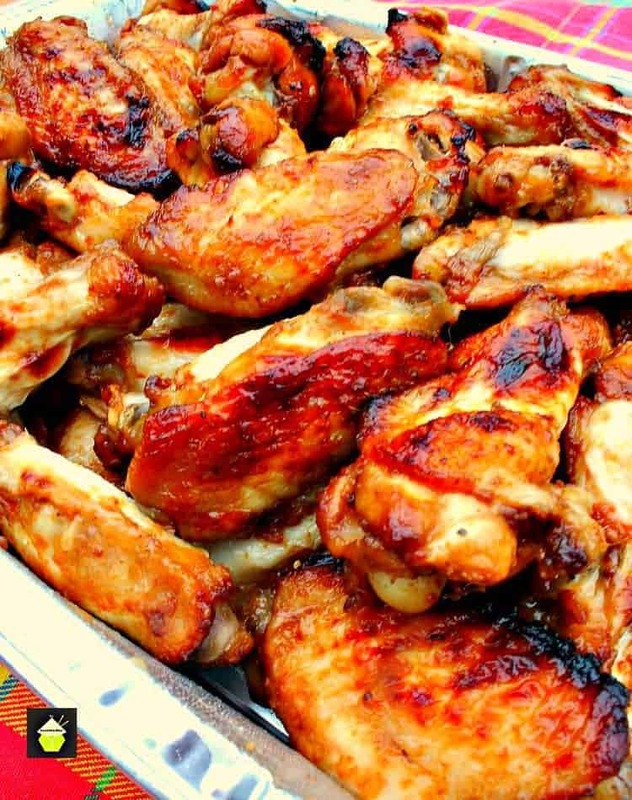 I love the tangy flavor of these chicken wings and they sure look so moist and tasty! 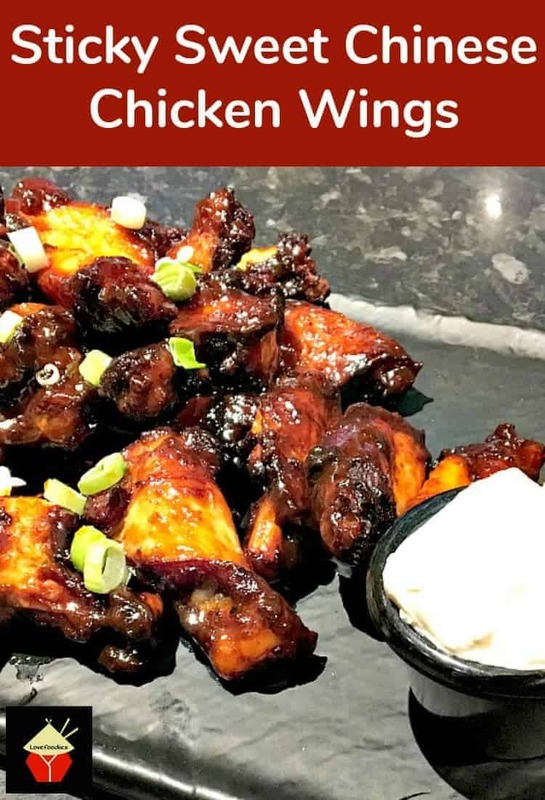 What a great idea for chicken wings! A perfect appetizer or snack or an entire meal can be made with these! Love dishes that are so diverse! These would be so nice at a summer picnic! My whole family will love them! I’m drooling over here! Seriously these look like restaurant quality, cannot wait to try! This is totally my kind of chicken wing recipe! Looks like they are SO flavorful!! These look AMAZING! I can’t wait to try these! These sound and look delicious! I don’t think I’ve often used lemon with chicken, but now it’s on my list to try!! Love these wings for anytim of the year but they are perfect for spring, delish!! Oh I could dive into these and make an entire meal out of them. I have to try them.